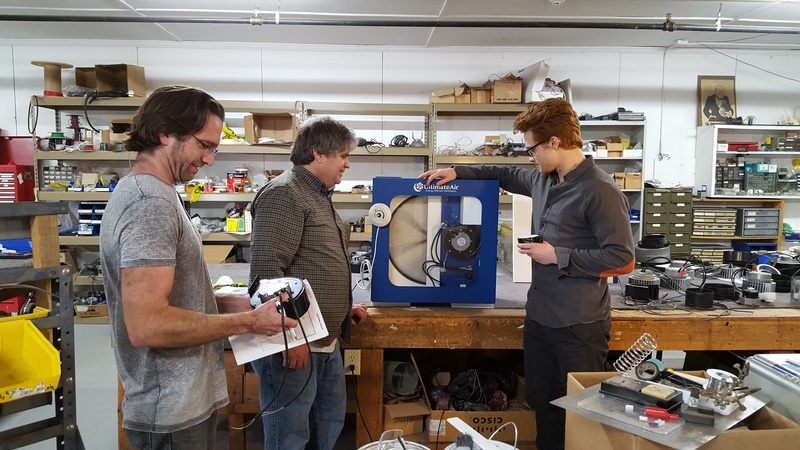 UltimateAir Engineering: So many ideas, So little time! Designing innovative products is the backbone of engineering in the high efficiency industry. Great idea’s do not begin with a market strategy – they begin with a team of professionals who formulate a desire of invention and a drive to discover. Nuts, bolts, wires, and fuses do nothing when thrown in a box; but they can accomplish endless possibilities when combined with the human mind.